1. Preheat your oven to 350°F. In a large skillet over medium heat, cook your sausage meat until browned and slightly crispy, stirring occasionally and keeping broken into small pieces. Drain and set aside. 2. Brush the cups of two cupcake tins with 1 to 2 tbsp. of melted butter and set aside. Spread your breadcrumbs out in an even layer on two baking pans and toast for five to 10 minutes, stirring when necessary, until crisp and golden. Turn your oven down to 300 degrees. 3. In your large skillet, add 8 tablespoons of butter and melt over medium-high until frothy. Then, add your celery and onion and cook for about five minutes, occasionally stirring until tender. Cut the heat and add in your parsley, thyme, nutmeg, sage, salt and pepper. 4. In a large bowl, combine your celery and onions with the breadcrumbs and stir in your beaten eggs and chicken stock, tossing and mixing until well-combined. Scoop your stuffing into your cupcake tins, packing tightly and filling so they mound on top. 5. Bake for 25 to 30 minutes at 300 degrees until browned on top. Remove from the oven, let cool and run a small butter knife around the edge of each stuffing cup to remove them. Serve warm to your hungry Thanksgiving guests! 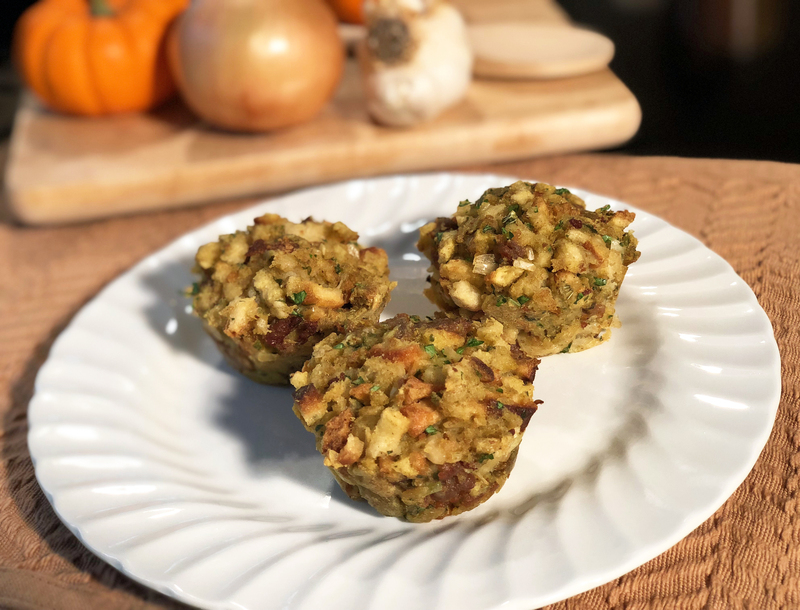 Love our Sweet Italian Sausage in your stuffing cups? 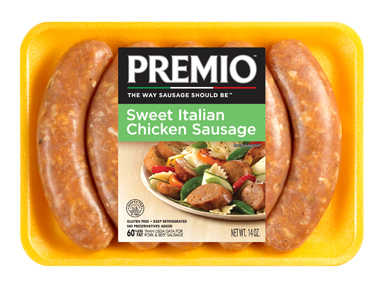 Try all our sausage varieties all year long. 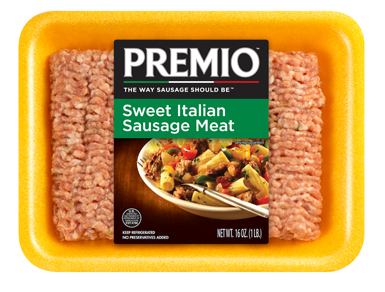 Search for Premio products in a store near you.